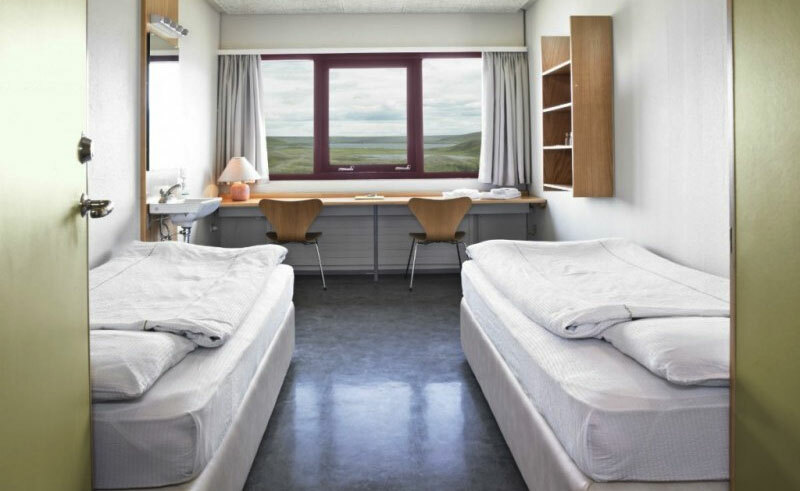 Located half way between Lake Myvatn and the northern capital of Akureyri, this 44-room summer hotel is settled in an area that is home to some of northern Iceland’s most popular attractions. With Dettifoss, Europe’s most powerful cascade of water, just nearby, other popular excursions include whale watching cruises from nearby Husavik, hiking across the thermal landscape of Lake Myvatn, or settling in a hot spring and letting the aches wear away. Finally, the enchanting Vaglaskogur woods and Asbyrgi, a rocky, horseshoe-shaped canyon, draws those who wish to visit the legendary home of the Viking gods. The hotel’s restaurant offers scenic views alongside quality fare and an outdoor swimming pool can help cool off on those warm summer days. A hot tub is the perfect place to unwind after a day on the road while the island sinks into the glow of the midnight sun. Featuring a classic décor with light wooden furnishings and carpeted floors, you have a choice of en suite or share bathroom.